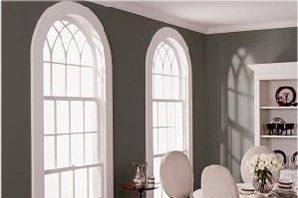 WinDor is proud to be an independent window sales, service and installation company. We offer top quality vinyl or wood premium replacement and new construction windows to our clients. WinDor is an exclusive aluminum, vinyl and fiberglass clad exterior Weather Shield window/door dealer. We are also one of the few window dealers that still offers a full line of top quality storm windows. Whether your door needs are entry, storm, screen or patio doors, WinDor has the right product for you. WinDor can assist our clients select an entry door using the most recognized door manufacturers. WinDor is proud of our sliding, french wood hinged and decorative patio doors. 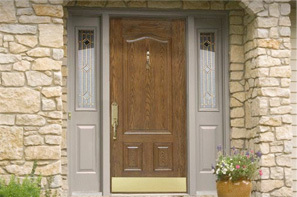 WinDor also offers three completely different storm door lines in a wide range of styles. WinDor's seasonal offerings include spring and summer protection for the harsh and dangerous rays of the sun with retractable manual or motorized canvas awnings. We also offer aluminum window or door awnings. For winter or hurricane protection WinDor has a full line of Safe Harbor Hurricane shutters. 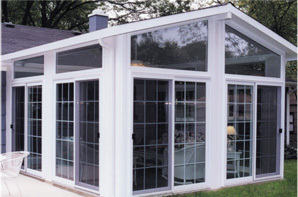 WinDor's seasonal offerings also includes the production of porch enclosures. WinDor maintains its own professional crews of installers. We do not employ "subcontractors" that disappear when the job is done. Many of our crew members have been with us for years. They are responsible, reliable and real "pros." They tackle every job quickly, efficiently and during the time period that we specify. “The fit, finish and detail work is excellent...I would be happy to share my opinion as a referral"
Windor, Inc. © 2019. All rights reserved.